1961. 88 pages. Cream dust jacket with black lettering over red cloth. Clean pages. Heavy tanning to endpapers. Previous owner's inscription on front endpaper. Mild wear to spine, board edges and corners. Mild sunning to spine. Clipped dust jacket. Mild wear and tear to edges and corners. Heavy tanning to spine. Mild staining and soiling to DJ. 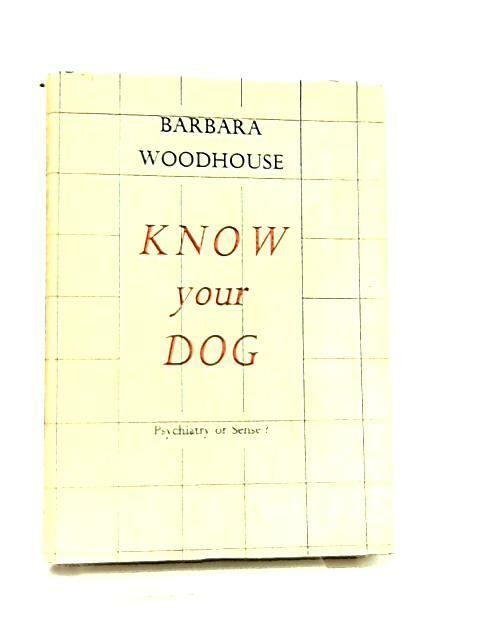 Know your Dog, Psychiatry or Sense?